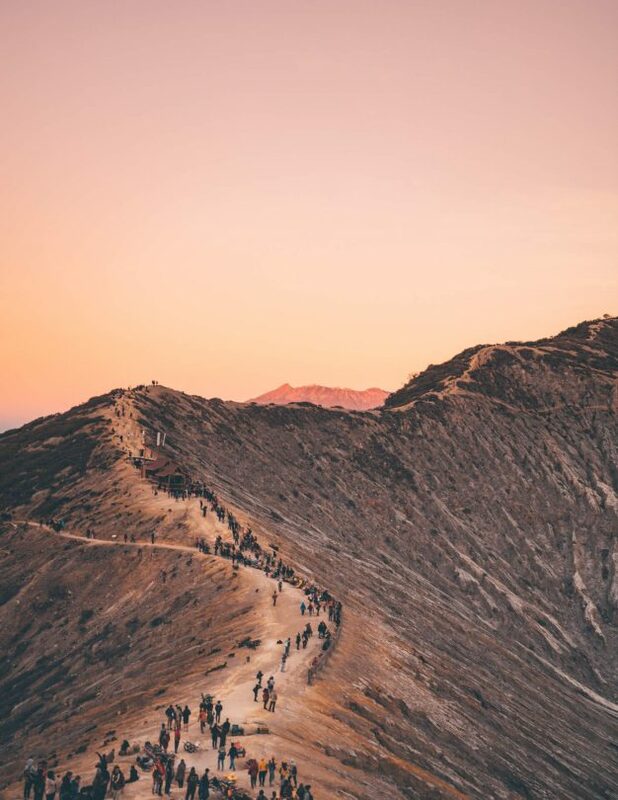 Visiting the Bromo and Ijen crater is one of the popular reasons to visit Java in Indonesia. 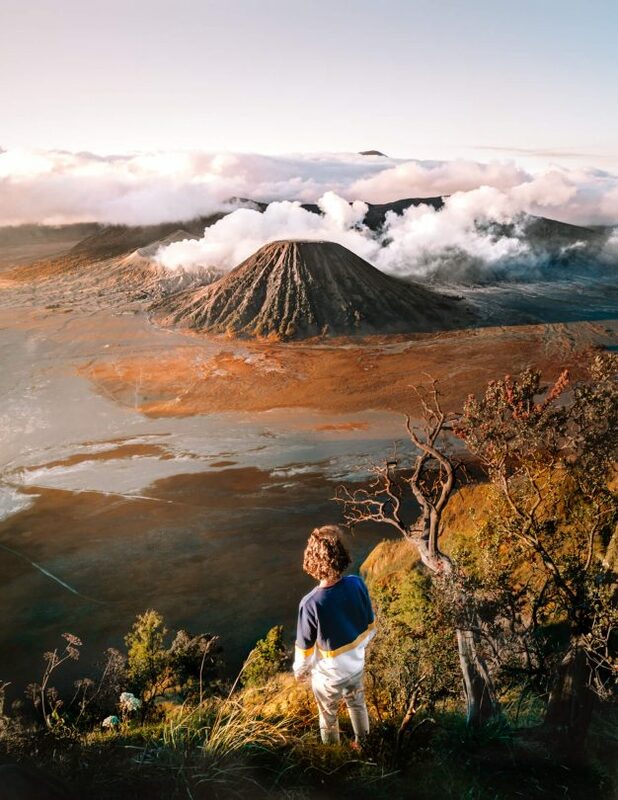 It is best to do this Bromo and Ijen tour via Malang. You can expect three days full of adventures and natural wonders. 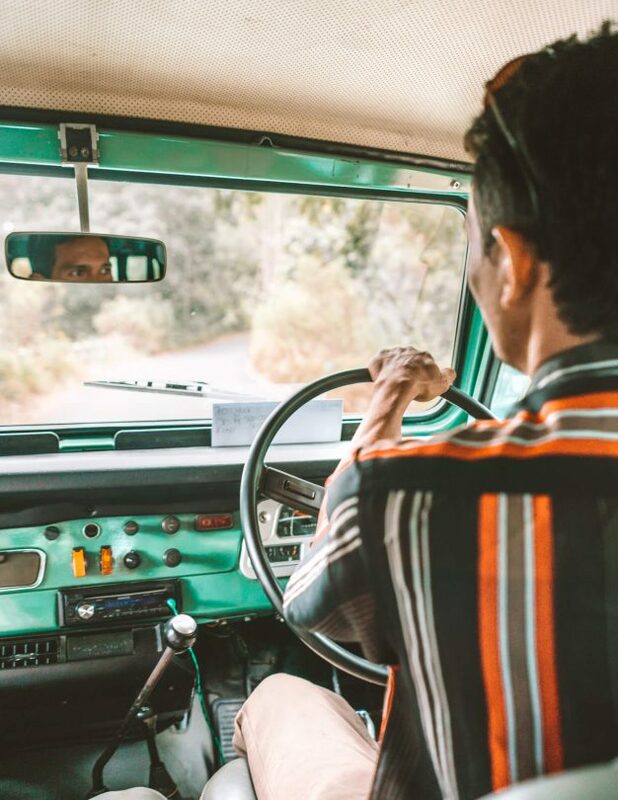 Driving across the wide-stretched sea of sand at Bromo, visiting the Coban Pelangi and Madakaripura waterfall, driving through Ngadas Village, the highest vegetable mountain area on Java. 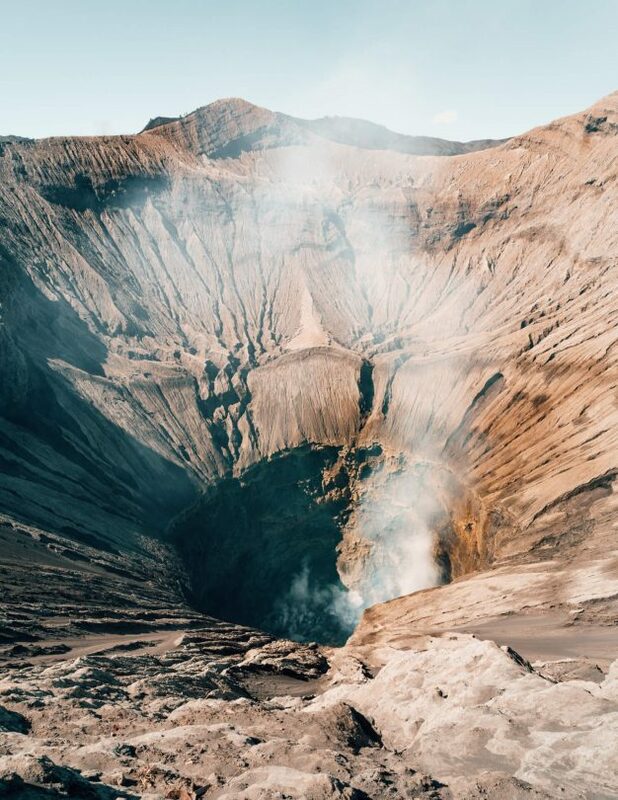 This 3-day Bromo and Ijen tour route starts in Malang but can be done the other way round starting at Ijen from Bali. 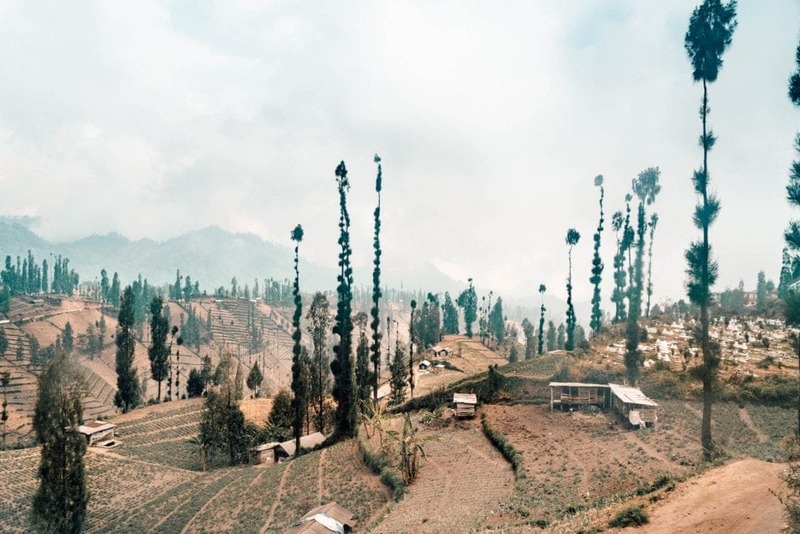 The drive from Malang to Cemoro Lawang (Bromo village) is a beautiful two-hour drive with a 4×4 jeep. You will need a four wheel drive car since you will be climbing a lot towards Ngadas village. 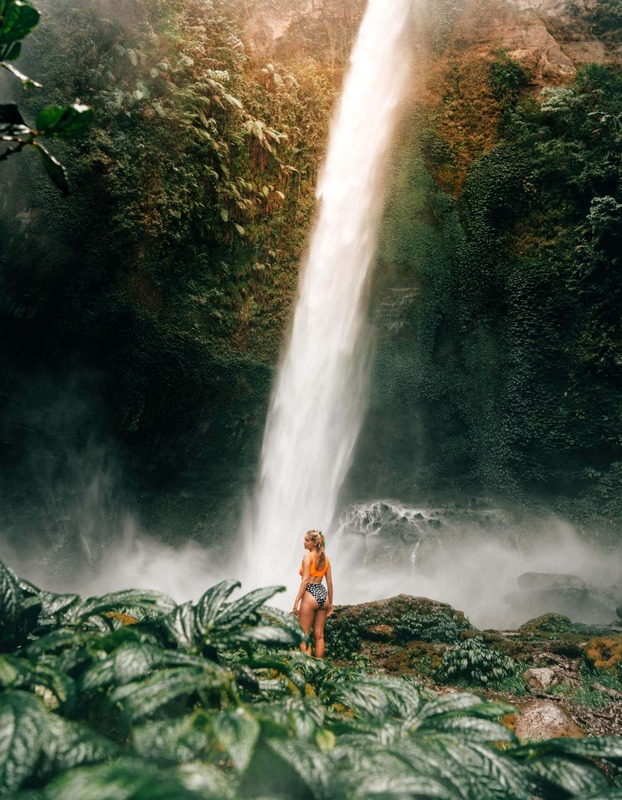 Just before entering the Ngadas region you can visit the Coban Pelangi waterfall. 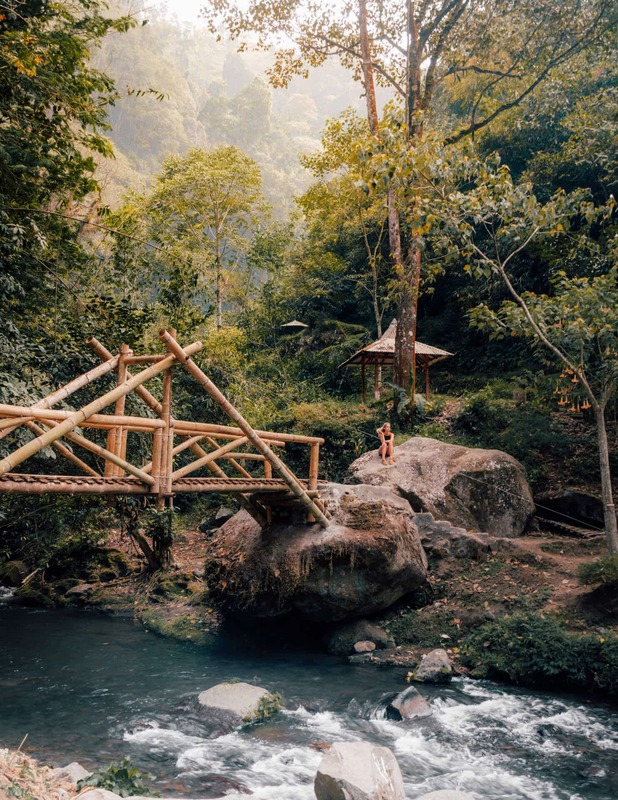 You can either see it from a viewpoint (5 min walk, 10000 IDR) or experience its power at the foot of the waterfall (Free). It is a 15-minute walk down over a well-paved path and definitely not too hard. Ngadas Village is a vegetable area (farms) located on steep hills. Not many foreign tourists pass this route as it is not a well-known way to follow the Bromo and Ijen tour. ➳ Follow our full Java Route Guide. After Ngadas you will start descending into the Savannah, the flat area around Bromo. 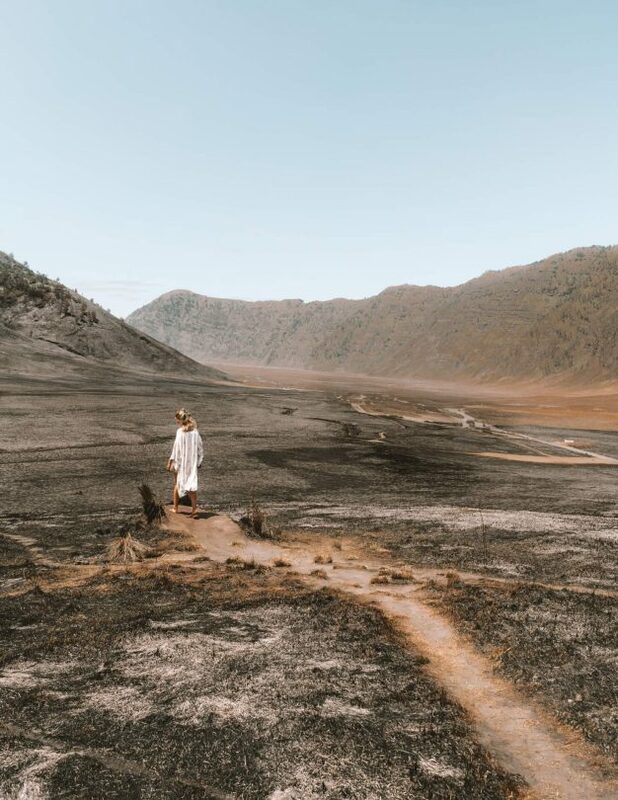 Drive around through the ‘Sea of Sand’, take some awesome photos with your jeep and arrive at Cemoro Lawang (Bromo village) before sunset and visit the secret sunset viewpoint which you can find in the article linked below. Make sure to head to bed early on day one and set the alarm 2:45 AM. 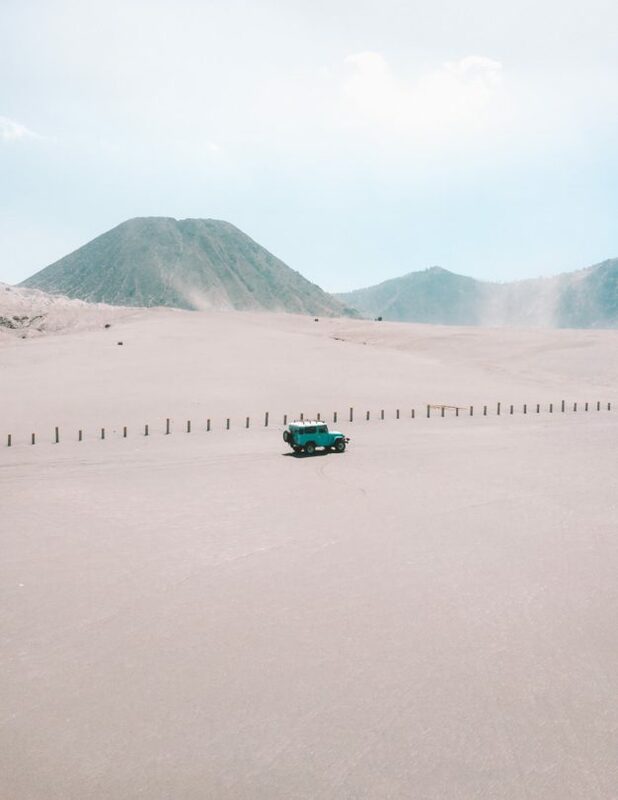 At 3 AM your jeep will take you up to one of the viewpoints that look onto the Bromo volcano. Followed by visiting the actual crater and have a look inside an active volcano. 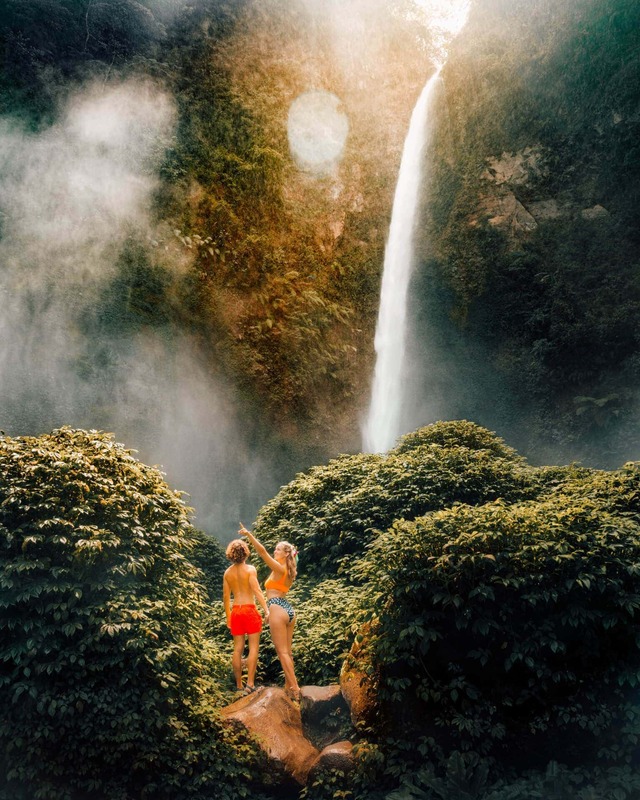 On that same day, make your way towards Ijen with a stop at the second highest waterfall of Indonesia. The Madakaripura waterfall. As water cascades from all sides, you and your camera will get wet. Don’t worry; rainjackets are sold at the entrance. 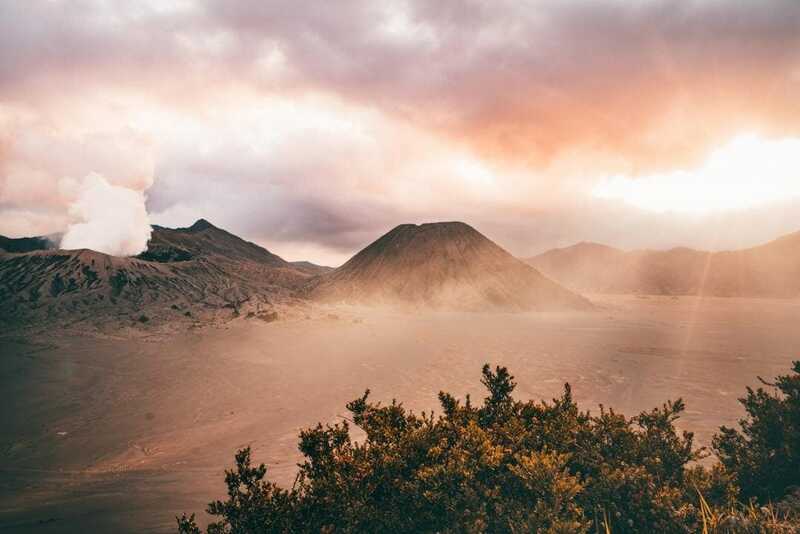 From Bromo to Ijen is a 4-hour drive. 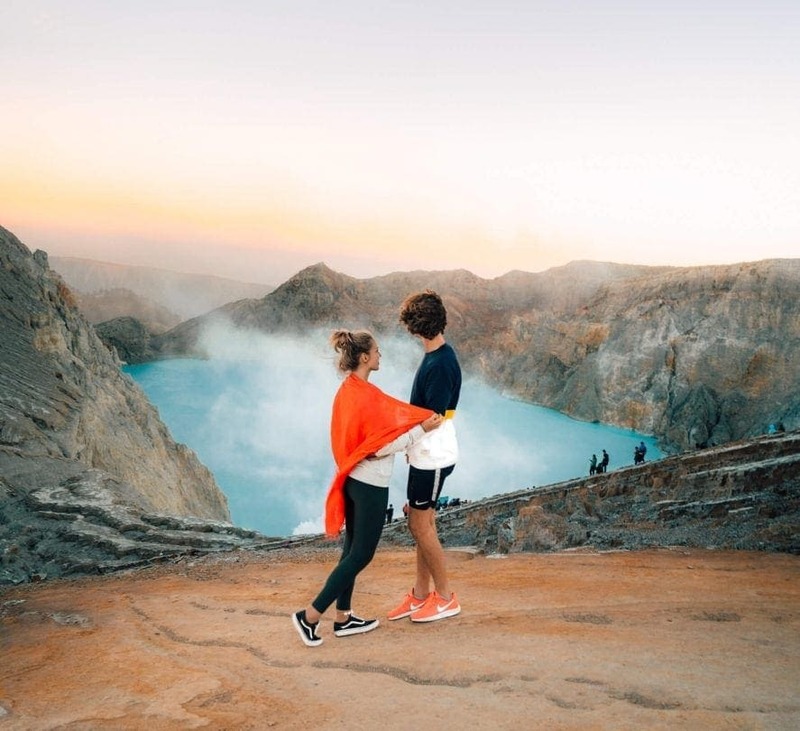 For your trip to the Ijen Crater lake, you have to start hiking at 2 AM to experience the ‘Blue fire’ or 4 AM to experience sunrise on the lake. 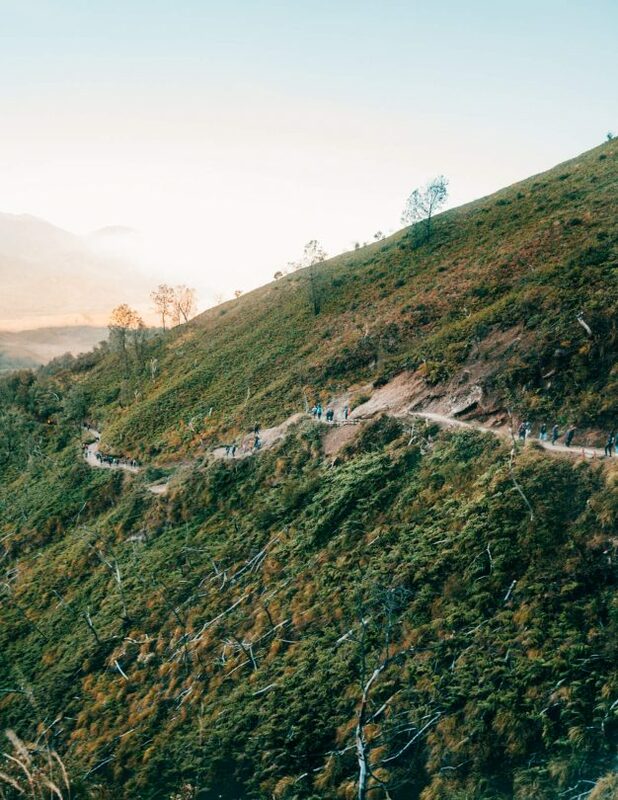 It is a 1.5-hour walk so make sure to leave on time to not miss one or both of the above named moments at Ijen. 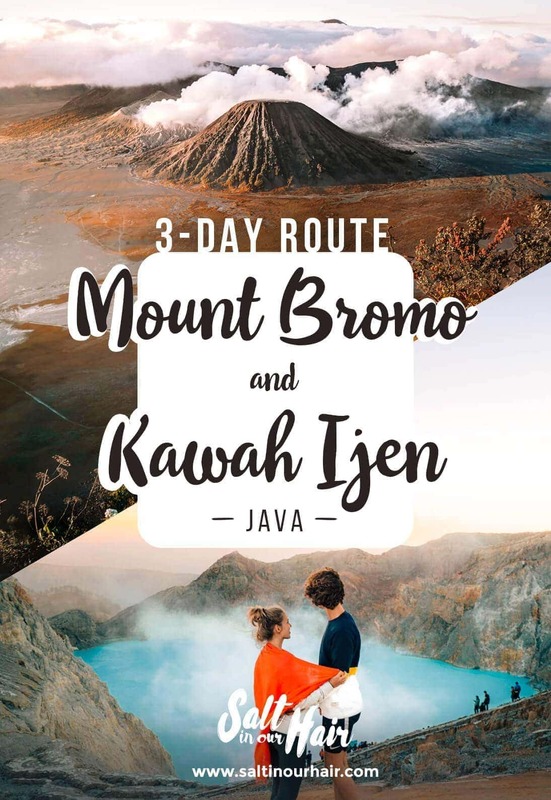 A Bromo and Ijen tour can be done in many ways. If you are not on a super strict budget, we recommend you to book a tour since it saves so much time and hassle.